Reading through Isaiah, or other books of the Bible in which God clearly uses appointed individuals – prophets – to speak to the nation of Israel (or Judah after Israel broke into two separate nations), one is captivated by the fact that generations before Isaiah stepped onto the scene, Moses had offered guidelines and warnings related to how the people of Israel were to regard individuals who claimed to be prophets. Of course, during Moses’ time (and thereafter for Israel), false prophets were to be executed from among the people. They were dangerous and even deadly, doing great harm to the nation that seemed so easily sidetracked and tempted away from the worship of the one, true God. False prophets have always been a problem, first with Israel and now with the church and they will be a problem until Jesus returns. What I find fascinating is how many of today’s so-called prophets often come with signs and wonders. It has become nearly epidemic and the tragic part of it all is that too many Christians today simply believe that if some smooth talking individual who claims to speak for God presents evidence of his/her authority with signs and wonders, then that in and of itself is proof of their authenticity and authority that God has apparently blessed them with. However, not only are there instances in the book of Acts that prove that simply evidencing signs and wonders does not guarantee the Presence and blessing of God Himself (Acts 16:16-18; 19:11-20), but Satan is a master counterfeiter, transforming himself into an angel of light in order to deceive (2 Corinthians 11:14). So simply because we might see a sign or a wonder, that in and of itself is no guarantee that God has worked. Unfortunately, too many within Christendom today believe otherwise. Let’s take a look at a passage in the Old Testament that defines this problem. The above text is interesting. Please note that Moses is issuing a warning to Israel. He states that if some prophet or “dreamer of dreams” comes along and provides a sign/wonder and that sign/wonder actually comes to fruition, that prophet is not to be obeyed if he is teaching doctrine that is opposed to the truth of God’s Word! There are several very important things stated by Moses here that we should note clearly. First, realize that Moses was essentially saying that from time to time, people claiming to be prophets will come along and will preach another “gospel.” Second, these individuals will buttress their preaching with certain signs and wonders. Third, if these signs/wonders actually happen, it does not necessarily mean that they are telling the truth! Now, let me be clear here. Today, we do not kill people for teaching heresy. We avoid them. We warn them. We warn others about them, but we do not physically harm them. Why did Moses declare that the false prophet should be killed? Because that was what God wanted to happen to people who gave “words of knowledge” or spoke prophetically, attributing their words to God when in point of fact, God said no such thing. We need to remember that Israel was created by God to be a monarchy, where He, as God, was the Living, eternal Ruler over Israel. This does not apply to other nations or within Christianity. In essence, those prophets were lying and making it appear that God was saying something He was not saying and remember, God often spoke directly to His people, Israel whether through Moses or some other individual appointed by God. If people followed that false prophet, it tended to make God a liar. For the sake of His Name, that person would literally and permanently be cut off from the nation of Israel. Again, this is not how Christians are to handle individuals who are false prophets/teachers because of what they teach. Paul makes this very clear in Romans 16:17-18. False prophets and false teachers often tend to cause some form of division. They should be “marked” (made known/noted), and then avoided. We are not to hate them, nor are we to physically attack them, but we should certainly make it known that they are teaching a false message so that others will also take note and avoid them as well. Recently, I read an article on Pulpit & Pen, which highlighted the fact that J D Hall visited the set of the Jim Bakker show in Branson, MO. During the recording of the show, Hall turned on his video and recorded himself calling Bakker out, asking him what happened regarding all the “signs” he had previously talked about that were supposed to have occurred last September? Hall mentioned the “cow with the seven” on its forehead, the Shemitah, etc. Hall was referring mainly to the times when Rabbi Jonathan Cahn came on the show discussing the alleged visions that God had given him and for a while, was huge news within Christendom. Hall was asked to leave and ultimately escorted out of the studio and according to Pulpit & Pen, was threatened with legal action. I think people like Jim Bakker need to be called out. However, I’m not sure that doing it during a live taping is the best way to do it. The Bible highlights the fact that if we have a problem with our brother, we are to go to him individually and present our issue (Matthew 18). If that doesn’t work, we are then to take a few other Christians and try again. I don’t know if J D Hall did that or not. In truth, Jim Bakker seems to be a lost cause. He’s been so far off the correct doctrinal path for so many years, one can only wonder if he’ll ever find the truth, though I’m certain he’d say he has the truth. Jesus promised the world that as this current age comes to a close, it would be sprinkled liberally with false prophets and false teachers. As the time of His physical return approaches, Satan will only work harder to deceive even the elect (if that were possible). Look again at that verse. It was said during Jesus’ Olivet Discourse as He discussed what the times would be like as this world moves toward the end of this current age and which will close at the physical return of our Lord and Savior, Jesus. 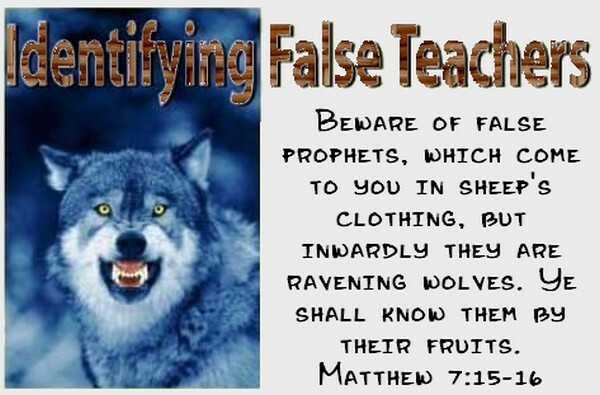 Jesus is saying that there will be plethora of “false christs” and “false prophets” and they will be very convincing mainly because of the signs and wonders that accompany their “ministries.” In fact, Jesus warns that the signs and wonders will be so persuasive that – “if possible” – it would lead even the elect astray. Jesus’ words “if possible” means that it cannot happen because of the presence of the Holy Spirit who indwells each believer. However, the Spirit’s presence is the only thing that keeps even the elect from being deceived away from the truth. In today’s ever-changing politically correct climate, people are too often led around by how they FEEL about something. It’s no different within Christendom, though it certainly should be. Add “signs” and “wonders” into the mix and most people are convinced that God has spoken. It’s absurd. His truth is revealed in Scripture and anyone who preaches something different, even IF their preaching is accompanied by signs and wonders, is to be “marked” (noted) and “avoided” (rejected). It’s really that simple. But how does a person know? There is only one way and it is a long and difficult road. We learn God’s truth only by reading and studying His Word. Without His Word, we would not know truth. Too many Christians rarely if ever open the Bible except possibly on Sunday. We need to read it daily. We need to internalize it so we can recall it. We need to think about it and meditate on it. Every Christian needs to be reading God’s Word every day. It is the only effective way to combat error. There are no shortcuts. You want to “know” God? You want to “hear” from Him? You want to be able to discern truth from error? Read. His. Word. Entry filed under: Atheism and religion, christianity, Cultural Marxism, Demonic, Eastern Mysticism, emergent church, Emotional virtue, eternity, israel, Judaism, new age movement, Political Correctness, Politically Correct, Politics, Religious - Christian - End Times, Religious - Christian - Prophecy, Religious - Christian - Theology, salvation, Satanism, second coming. Tags: deuteronomy 13, false prophets, false teachers, isaiah, j d hall, pulpit & pen. Thanks for your quick response. I appreciate your answers and will study them closely. Thanks for the good work you are doing and God bless you. My pleasure. Thanks for your interest. Thanks for your questions. First, the “elect” Jesus speaks of will NOT be deceived to the point of losing salvation. I believe this is a biblical impossibility, though there will be some who will not continue to be true to the faith (vv. 10-11; cf. 26:31). They will abandon it during the intense persecution during the Tribulation as some do now. The elect Jesus is speaking of in the Olivet Discourse (Matthew 24, Mark 13, and Luke 21) are only those truly saved in Jesus (as you state) – whether Jew or Gentile. This is the only way to gain salvation, through faith in Jesus and His redemptive work on our behalf. You’re familiar with the fact that without faith, it is impossible to please God (Hebrews 11:6) and the hall of faith chapter of Hebrews (11). Faith, not works, has always been the requirement for gaining salvation, whether in the Old Testament, the New (including our lifetime), and up ahead during the Tribulation after the Church has been removed. In Matthew 24:24, Jesus is referring to the point at the END of the Tribulation, which occurs as He physically returns to this earth. Though there have been and are individuals now who claim to be “Christ,” there will be more of them during the coming Tribulation period. Then, the Holy Spirit will no longer work through the Church, which acts as a dam against unfettered evil being released throughout society. God will also send a strong delusion so that people who hate truth will believe them easier. He does this because there is no willingness on their part to repent in order to be saved (2 Thessalonians 2:10-11). People who are Jewish – even if they know which tribe they are from (extremely difficult today since all the records were destroyed in AD 70 during the destruction of Jerusalem and the Temple which stood at that time) – are not part of the elect until and unless they receive salvation from Jesus, period. The rapture is ONLY for the invisible Church (those who truly possess salvation in Christ, not Christendom at large, which is the visible church and is made up of true Christians and those who merely profess to be saved). Yes, God selects, calls, and seals 144,000 Jews to be His evangelists to the world (Revelation 7). These individuals will exercise faith in Christ and God will use them mightily to evangelize the lost of this world after the Church is removed. These Jewish evangelists will come from many nations throughout the world (since the Disapora), where they learned the languages of the nations they went to and will be the perfect candidates to evangelize the lost once God opens their eyes to the truth in Christ. Regarding the Holy Spirit…as God is everywhere all the time, He is NOT removed from society during the Rapture. What happens during the Rapture is that the Church is taken out of the world and since the Holy Spirit has chosen to work through the Church since the first century AD, His main vehicle through which He has worked is now gone. This means that things tend to go back to the way it worked during Old Testament times, with the Holy Spirit once again working through individuals or groups (example, the 144,000 spoken of in Revelation 7 who are called to be evangelists and sealed with His power). Once the rapture occurs and the true Church is gone, people will still have opportunities to receive salvation in Christ. Those who do, though not becoming part of the Church, will be part of the elect. Revelation 6, starting with verse 9 discloses the tremendous multitude of individuals who are slain during the Tribulation due to their faith in Christ. Rather than go along with the world’s system, they choose and remain faithful to God, even to the point of being martyred for their faith in Christ. Think of all the people living today who have heard the gospel but never repented or have never given their life to Christ. Once the rapture occurs, many of these people will realize the truth that they rejected and come to Him in faith. Just like us, they will be renewed and granted salvation. But immediately after the rapture, the tremendous void will be felt by the world, and Satan and his demons will rush to fill it in with their lies and deceit. With the true Church gone, the Holy Spirit will not have that vehicle through which He has been working since the ascension of Jesus. Satan will take tremendous advantage of that fact. I’m hopeful that I have adequately answered your question. If not, please let me know. It’s always a bit difficult to ensure that I’m fully understanding what it is your asking.